We’ve released out latest episode at last and it’s got a stack of great content, including some very detailed information about planning & performing the F-18 Handling Display at the Tyabb Air Show in 2014 and doing an F-18’s preflight inspection. All that plus information about the Triton and Fire Scout unmanned aerial systems, managing the C-17 in the RAAF, the Japanese Air Self Defence Force KC-767, MAF and Mahindra’s GA-10. Click here to access the episode. We’ve gone back into our archives to pull out some great content that we never got around to releasing before. 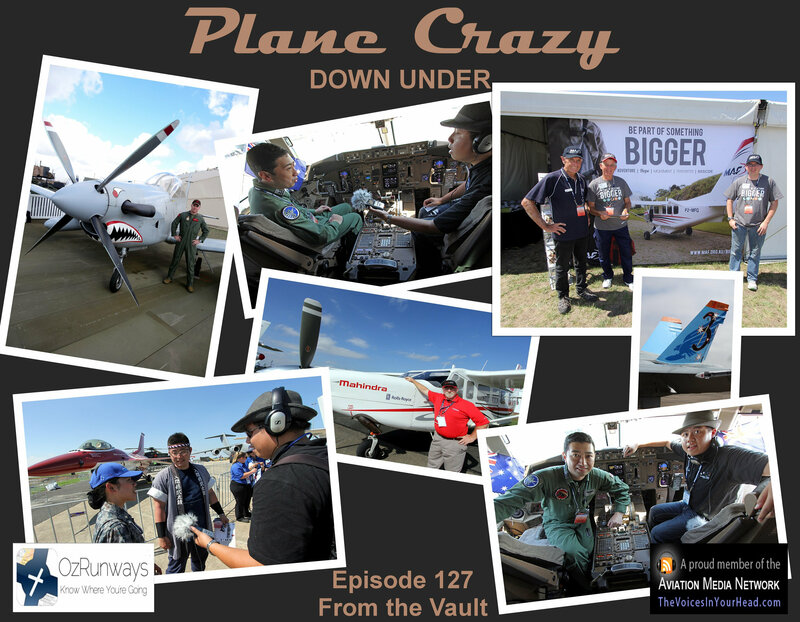 We have some more interviews from Avalon 2015 (yes, we recorded lots didn’t we? :) ) and we also have WGCDR Tim Alsop (now a GPCAPT :) ) walking us through planning & implementing an F-18 Hornet handling display and doing a pre-flight walk-around. 00:01:29 – Steve & Grant take a break from Steve’s daughter’s birthday to introduce the episode. 00:06:54 – Grant talks to SQNLDR Adrian about flying the PC-9 in the Forward Air Control role. 00:16:48 – Maikha catches up with Dave Wheatland from Mahindra about the GA10. 00:27:29 – Mike Seers from Northrop Grumman describes how the Triton UAS is providing Broad Area Maritime Surveillance (BAMS). 00:32:42 – Maikha speaks to three dedicated Mission Aviation Fellowship volunteers, long serving MAF Pilot Ron Watts, State MAF Advocate and retired MAF Pilot Max Chapman and MAF Promotional volunteer Daniel Prowse. 00:48:14 – CMDR James Walker of the US Navy talks about the upgraded Fire Scout UAS which is produced using the Bell Long Ranger helicopter. 00:56:38 – FLGOFF Moles talks to Grant about being a load master on the RAAF C-17. 01:00:58 – Grant discusses flying the RAAF C-17 with FLTLT Marshall. 01:06:49 – Maikha speaks to members of the Japan Air Self Defence Force (JASDF) during their visit to Avalon 2015, starting with JASDF Staff Sergeant Yoshi Uesugi (translated by Public Relations officer Major Shigenari Tomioka) regarding the JASDF’s travelling Taiko Drums band, followed by an interview with Lieutenant Colonel Takahiro Seki, the Pilot In Command of the visiting JASDF KC-767 and also the Commander of 404th Squadron from Komaki Air Force Base in Japan. 01:15:17 – WGCDR Tim ‘Slops’ Alsop discusses his flying career from learning to fly at Tyabb and Moorabbin to his current role as CO 3SQN. 01:38:21 – WGCDR Tim Alsop discusses the planning and performance of the RAAF F-18 Handling Display performed for the Tyabb Air Show 2014. 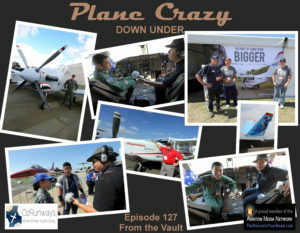 02:06:19 – Grant catches up with FLGOFF Michael ‘Newbs’ Newby to discuss his flying background and career to date the with RAAF. 02:14:47 – WGCDR Tim Alsop walks us through an F-18 Hornet preflight. 02:26:14 – Steve & Grant wrap up the episode. Steve & Grant also talk afterwards about Virgin Blue’s financial results which came out after we spoke with Will, along with their news about adding A330s, dropping the E170s (while keeping the E190s) and linking up with Etihad.